Former prime minister Atal Bihari Vajpayee would have told you about the importance of political allies. On 17 May, 1999, his government lost the trust vote by just one vote, and the late BJP leader still holds the record of losing the confidence of the House by the lowest margin. Come 2019 and Narendra Modi too cannot ignore his allies in a country that is known to throw up a fractured mandate in Lok Sabha elections more often than not. With the BJP's aura of invincibility shattered by recent Assembly and bypoll results, and a united Opposition shoring up attack, the National Democratic Alliance should sure put its house in order and soon. The National Democratic Alliance (NDA's) tally has come down to 303 from an original 336 in the 16th Lok Sabha as allies abandoned ship and BJP failed to win by-polls in seats it had previously captured. The latest trouble arose from Bihar, where Rashtriya Lok Samta Party (RLSP) quit NDA to join the supposed 'Mahagathbandhan' ahead of the 2019 Lok Sabha polls. Ram Vilas Paswan of the Lok Janshakti Party remains miffed and is considering his options. The Telegu Desam Party, the largest NDA ally after BJP had walked out earlier this year, and its leader Chandrababu Naidu is already seen flanking Rahul Gandhi at important Opposition events. The Shiv Sena, once touted be BJP's natural ally, is playing more the role of Opposition than ally from within the government; it has already announced it will break BJP's fake hindutva narrative. But more on this later. BJP has larger problems to deal with. What truly worries BJP is Prime Minister Narendra Modi's waning popularity. According to CVoter State of the Nation tracker survey, in October 2018 Modi's popularity had come down to 53.9 percent from the highest vantage point of 66.5 in 2017. Another survey by Lokniti-CSDS, Mood of the Nation survey pinned the prime minister's personal appeal at 37 percent in January 2018. Another more troubling figure is that the BJP is quickly losing the advantage of if-not-Modi-then-who narrative. According to India Today Mood of the Nation (MOTN) poll, 46 percent of the survey respondents think Rahul Gandhi is the best alternative to Modi in 2019 elections, followed by TMC president Mamata Banerjee, who secured eight percent of the vote. Even if you look at the elections faced by the Modi government in the recent past, a distinct trend emerges. The party won most of the polls before the recent Assembly elections in five states. In 2016, Assembly elections were held in these states- Assam (BJP won), Kerala (LDF won), Puducherry (Congress won), Tamil Nadu (AIADMK won) and West Bengal (Trinamool Congress won). But most of these states were a new turf for BJP. In 2017, Assembly elections were held in Uttar Pradesh (BJP won), Uttarakhand (BJP won), Goa (BJP came second but still formed the government), Punjab (Congress won but the blame largely went on BJP's larger partner Shiromani Akali Dal), Manipur (Congress won). In Guajarat, BJP managed to win an election for the sixth straight term, and Himachal Pradesh also was won by the saffron party. In 2018, JDS and Congress formed the government after Karnataka Assembly polls in the month of May but the BJP managed to appear as the single largest party in the state. However, things started looking bleak after the results in Chhattisgarh, Madhya Pradesh, Mizoram, Rajasthan and Telangana. This shows that the BJP managed to play up the anti-incumbency factor against the respective ruling parties in several of these states and managed to retain Gujarat because of the Modi wave. However, the party won the prime minister's home state with the lowest margin in a long time and that started a trend of its decline. In 2018, when the party was faced with anti-incumbency factor against its own governments in three of five states, the Modi wave was not strong enough to salvage the party. By extension, if we may presume, when faced with anti-incumbency and a united Opposition in 2019, the Lok Sabha elections will not be a cakewalk for the party as Modi's appeal has certainly ebbed. In Bihar, by joining hands with Nitish Kumar, Modi lost two allies at the cost of one. First Nitish's bête noire, Jitan Ram Manjhi walked out with his Hindustani Awam Morcha after JD(U)'s return to the NDA fold. Now, the RLSP has quit NDA on the pretext of fundamental differences and BJP's 'arrogance'. But reports say things began to go sour since Nitish came back to the NDA. It's true that the size and might of these two parties cannot be compared to JD(U), but if results of the recent bypolls are any help, Nitish will have a tough time proving his worth. JD(U) and BJP had lost Jehanabad and Araria to Lalu Prasad Yadav's Rashtriya Janata Dal, which spearheads the Mahagathbandhan in Bihar. The party had outperformed JD(U) by a mile even in the 2015 Assembly election, but had yet supported Nitish to take over as chief minister. Then there's the LJP in Bihar, already giving signals that all is not well within the alliance. Heated parlays for seat sharing are already underway to persuade Ram Vilas Paswan to stay in the NDA fold. But the BJP can't overtly rely on the Paswans. Ram Vilas Paswan has been a part of almost all governments at Centre, be it a Congress-led government or a BJP-headed government. He has been a minister in almost all the governments formed at the Centre since 1989. The ideology of the party in power has never stopped him from forging alliances. In that sense, Paswan's friendship is guaranteed to the BJP only as long as its own fortunes favour its run to form the next government. The LJP is already getting restless. Even as Paswan, a Union minister, was presenting a bill in Parliament, his son Chirag was criticising the Modi government. Chirag said that the BJP has lost focus and is too entangled in the Ram Mandir issue. 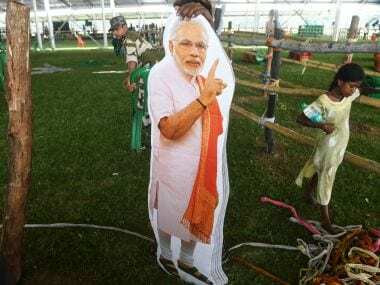 The JD(U) too has been trying to get itself into a good bargaining position before 2019 general elections even though it failed to win even a single Lok Sabha seat in by-polls and under-performed in Lok Sabha and Assembly polls. Some reports even suggested that JD(U) wishes for an equal division of seats with BJP in 2019. Bihar sends 40 members to the Lok Sabha but the BJP might have a tough time accommodating everyone without ruffling too many feathers. Similarly in Uttar Pradesh, state minister and Suheldeo Bharatiya Samaj Party chief Om Prakash Rajbhar is openly criticising the BJP at any and every opportunity he gets. 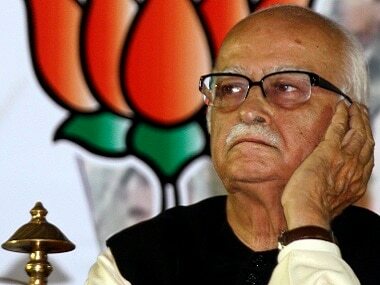 The party had swept the state in Assembly and Lok Sabha polls earlier. But a similar wave is clearly missing with rising unrest amid farmers, especially sugarcane farmers in western Uttar Pradesh. 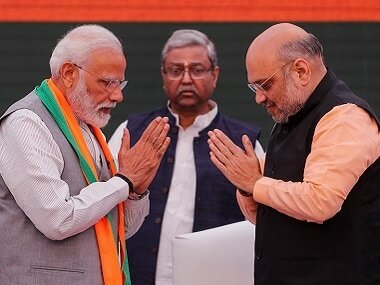 In case the Bahujan Samaj Party (with a strong Dalit Base), Samajwadi Party (popular among Yadavs, Kurmis and OBCs), and Rashtriya Loktantric Dal (supported by Jats and farmers in western UP) come together, the BJP can take a serious beating in parts of western Uttar Pradesh and rural areas of poorvanchal. The BJP might need the support of smaller parties like SBSP and Apna Dal. 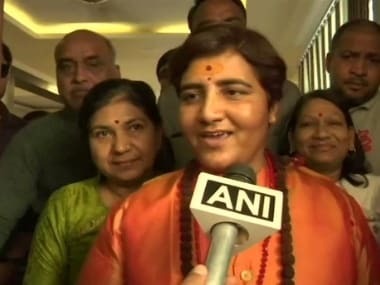 In Maharashtra, the Shiv Sena has already announced it will walk alone in the 2019 polls. A post-poll alliance, at the moment, also seems unlikely looking at Sena chief Uddhav Thackeray's tepid response to several attempts by BJP to reach out to it. Although much smaller in scale, another quarter where the BJP appears to be losing base is the Hills of West Bengal where the party garnered support of the Gorkha leadership in 2014. The party had garnered support from the Gorkha Janmukti Morcha by promising a separate Gorkhaland carved out of West Bengal. However, torn between making inroads in Mamata bastion in the Bengali-dominated areas, and retaining support from the Gorkhas, the party has been dilly-dallying on its stand on a separate state for Gorkhas. After the 2017 pro-Gorkhaland protests in Darjeeling that had the hill town in perpetual lock down for over 100 days, the Gorkhas may revisit their loyalties.